Diabetes is the inability of the pancreas in the human body to produce the required amount of insulin to process the sugars in the blood. 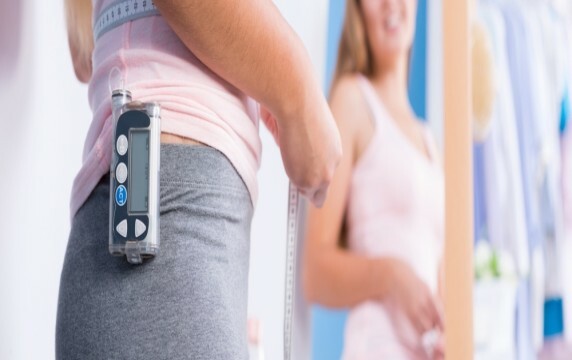 Diabetes is a lifelong disorder which cannot be reversed, but can be controlled to live a healthy life with proper diabetes management under the supervision of a sugar specialist. Diet, exercise and a change in lifestyle certainly helps in reducing sugar levels but these have to be supported with medication. Since the body cannot produce insulin, it is a good option to replicate the function of the pancreas by the infusion of insulin to help process the sugars. Earlier insulin used to be injected in the body using a needle. A syringe was used to extract insulin from a bottle and injected into the body. Later, this advanced into a self-injecting, calibrated pen. In both these procedures, the person with diabetes had to take the injection at the proscribed time. Any delay or even advancement in taking the injection would have adverse results. The latest technology we have today is the insulin pump. It is a device used for the administration of insulin, which supplies insulin continuously under the skin. The size of the pump is about the size of a cell phone. It consists of a cartridge of long-acting and rapid-acting insulin. The pump has a screen, a few buttons for programming the in-built computer, and a precision motor that pushes the insulin from the cartridge into the body through an infusion set. Insulin pumps are now widely used as part of diabetes management, especially in children, including toddlers and infants with type 1 diabetes. They are also particularly useful for the incapacitated patients and senior citizens who are dependent on attendees. Nowadays, it is even used by people with who have uncontrolled diabetes, people who have to take more than five shots of insulin per day, and for some people with type 2 diabetes. How is this insulin pump worn? The insulin pump is very discreet and is worn most conveniently on the stomach. Commonly used infusion sites include the abdomen, hips, buttocks, upper back arm, and thighs. Your diabetes doctor will help you determine the best insulin infusion site for you and will also advice on the frequency of replenishing the insulin cartridge. How is does the pump work? The device pumps insulin just like our body. Similar to the working of pancreas, the pump releases small amounts of insulin to keep the sugar levels under control especially between meals and while sleeping. The infusion set is composed of a thin introducer needle to insert a soft, thin cannula. Once the cannula is under the skin, the needle is removed. A tube connects the infusion set to the pump. A standard locking mechanism securely attaches the tube to the pump. Insulin pumps replace injections and the pricks along with it. Since the device is computerised, the patient receives the exact dose of insulin. A person with diabetes can be flexible about mealtimes and the kind of food consumed because the insulin will be infused according to requirement. A person can even exercise without the fear of getting hypoglycaemia because the computerised pump is there to calculate and infuse the exact amount of insulin as/when required. Should you switch to insulin pumps? You must discuss and understand the differences between injections and Insulin pumps when considering the infusion of insulin with your sugar specialist. Insulin pumps are precise, easy to use and maintenance free. But one has to be alert to some factors. You must realize that there is a foreign body inserted under your skin which is prone to infections sometimes. These pumps are battery operated; a discharged battery may lead to malfunction. So go ahead and know more about insulin pumps at a leading diabetes centre. Also, consult your doctor about the same. Make sure you go for regular diabetes tests & choose the best diabetes clinic for yourself or your loved ones. Be armed with as much information as possible on these pumps & diabetes. Choose what suits you best & enjoy a healthy happy life inspite of diabetes.